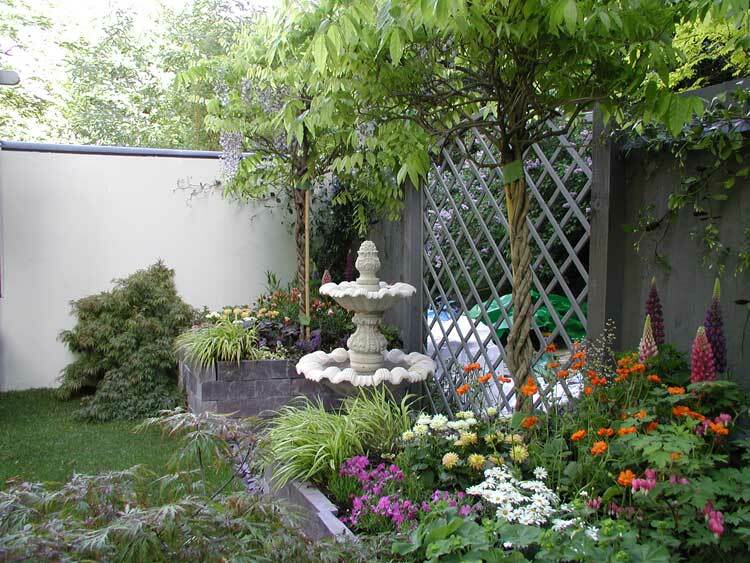 This garden demonstrates how a wide variety of fruit can be grown in a small, modern front garden without compromising the aesthetic appearance of the space. 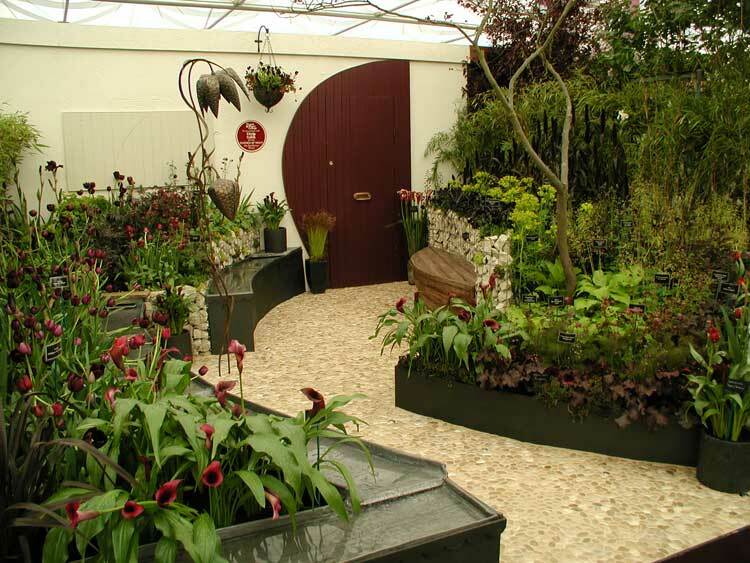 Garden of Night, a mysterious, elegant and modern design, aims to turn heads at this year’s Chelsea Flower Show. The theme of the planting is black; glossy petals reflect the light, while other plants absorb light into their rippled foliage. 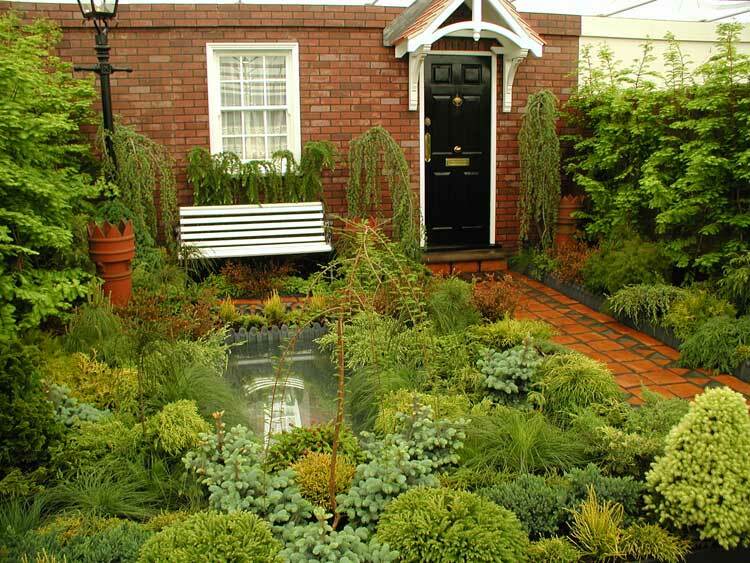 On Reflection is a formal front garden for a Victorian terraced house, which focuses on a simple tranquil pool for reflection and contemplation after a busy day. 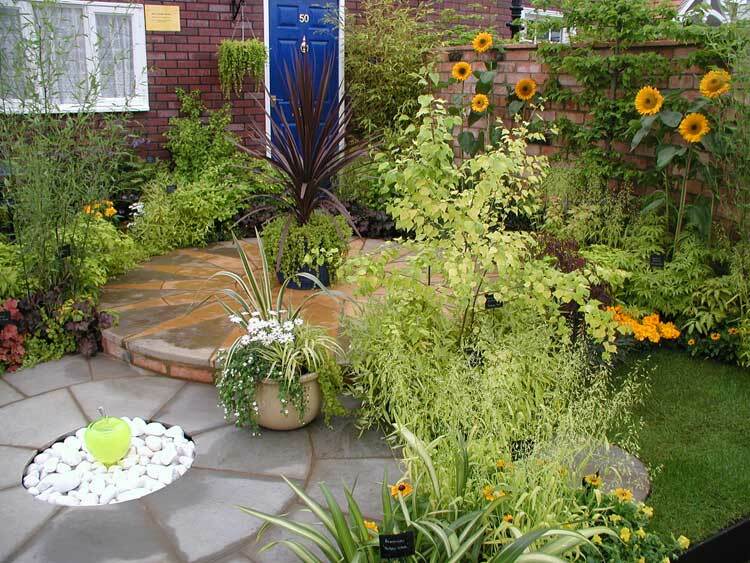 This front garden in Sunflower Street has been built to celebrate the 50th Anniversary of Pershore College. 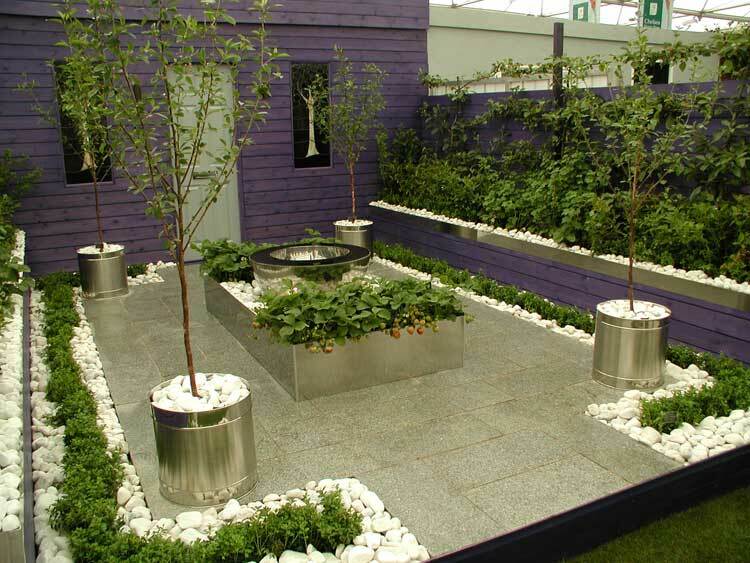 It is sponsored by Gem Gardening and reflects a modern approach to outdoor living. 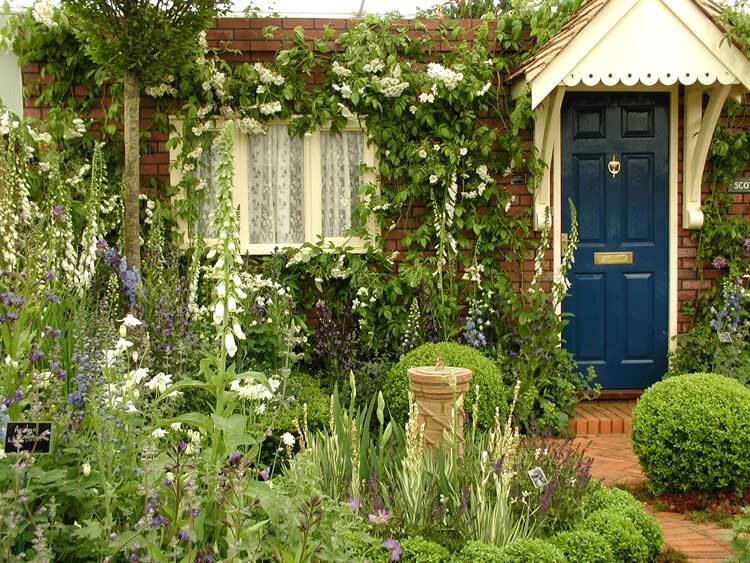 This year, Scotsdale has taken the elements and flavour of classic English formal gardens and combined them within a modest front garden space. 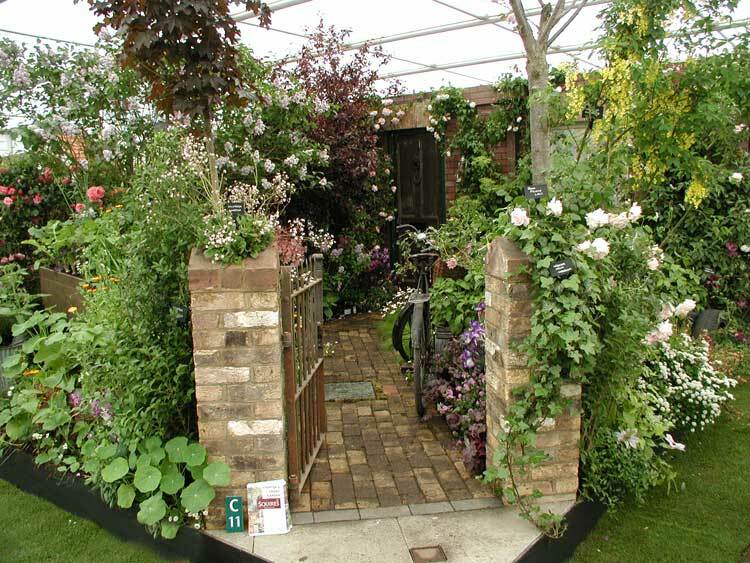 Steptoe’s Front Garden is a tongue-in-cheek celebration of how junk and horticulture can combine to superb effect. Surplus stock has been transformed into useful and decorative garden features. This garden is a commemoration, inspired by those who have lived and worked at St Joseph’s over the past 100 years. It is a garden full of colour, which celebrates life and shares many of the features of St Joseph’s Hospice’s own garden in the East End of London.